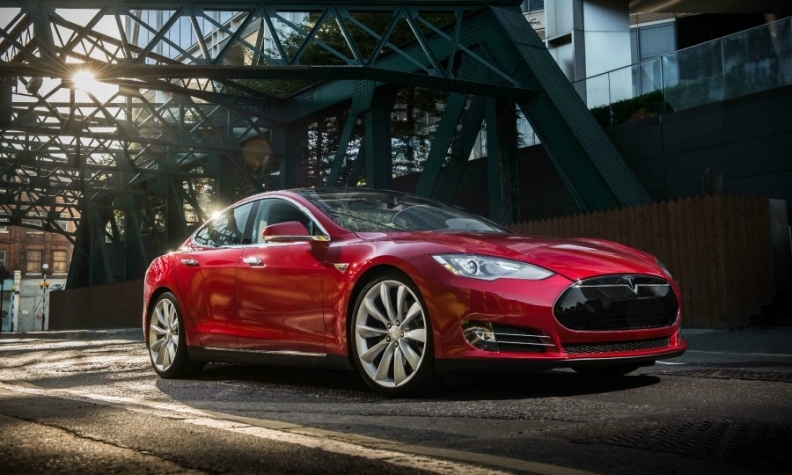 Officials say the Tesla S sedan cannot be ordered in Germany without the comfort package, which makes it too expensive to qualify for a subsidy. BERLIN -- A German government agency has removed Tesla from the list of electric cars eligible for subsidies, sparking a row with the U.S. automaker over whether its Model S sedan is too expensive to qualify for the program. Tesla customers cannot order the Model S base version without extra features that push the car above the 60,000-euro ($71,500) price limit, a spokesman for the German Federal Office for Economic Affairs and Export Controls (BAFA) said on Friday. Germany last year launched the incentive program worth about 1 billion euros, partly financed by the German auto industry, to boost electric-car sales. A price cap was included to exempt premium models. Under the program, buyers get 4,000 euros off their all-electric vehicle purchase and 3,000 euros off plug-in hybrids. Tesla denied its cars were too expensive for the program. The automaker said the upper price limit was initially set by the German government to exclude Tesla, but later a compromise was reached "that allows Tesla to sell a low option vehicle that qualifies for the incentive and customers can subsequently upgrade if they wish." The company said, however, it would investigate whether any car buyers were denied the no-frills version. German magazine Auto Bild had reported that BAFA was looking into the Tesla issue and could take the company's cars off the eligibility list.